As we dive into summer, some things never change. The ability to enjoy the outdoors, the patriotism of the 4th of July, baseball, and of course, camping. While our love for all things american don't change, some things do. Technology brings us innovative products that not only promote health and make our lives easier, but also are able to put a smile on our faces. 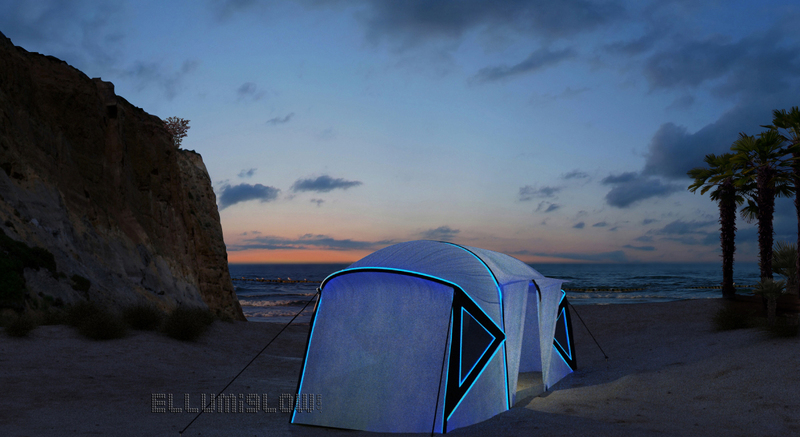 Our new EL Wire camping kits aim to do just this: Give you just the right amount of cool, mixed with practicality, now you can camp in style, while being able to stumble back to your tent all summer long.